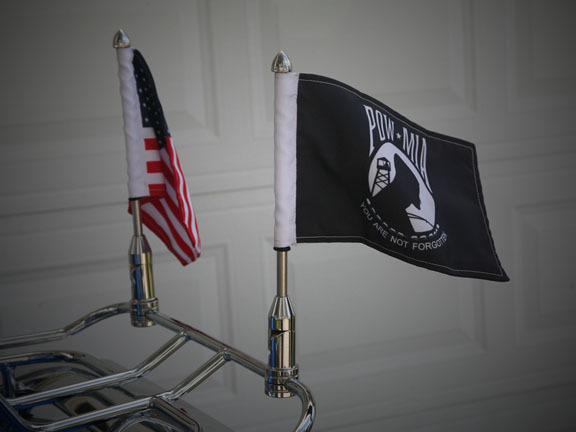 • POW MIA Motorcycle Flag is made to fit 3/8" pole. • Double sided Flag is made from a durable cotton/polyester blend. 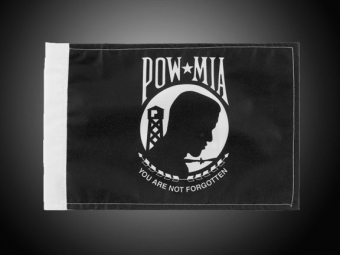 • Flag measures approximately 9" x 6".